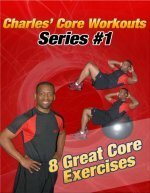 Tired of Ab Lounge Exercises? Get Off the Chair and on the Ball. Tired of Ab Lounge Exercises? If so Get Off the Ab Lounger and Get on the Ball! Are you tired of doing ab lounge exercises? Did you buy an ab lounge only to find it awkward and difficult to use? If so, then maybe you should switch your ab exercise equipment. One of the cheapest and most effective pieces of ab exercise equipment is a Swiss Ball. The Swiss ball supports your lower back and contours to the position and natural curve to your spine. And, since the Swiss ball comes in many sizes it's easy to find one that fits your body. There are many different Swiss ball ab exercises that you can use to replace your ab lounge ab workout. You can perform standard ab crunches or oblique crunches while lying on the Swiss ball. In addition, you can also do Swiss ball ab exercises while lying on the floor. You can even do exercises with your hands or feet on the Swiss ball like, Swiss Bal Planks or Swiss Ball Piques. In my opinion, the Swiss Ball is a much better piece of ab exercise equipment than the ab lounge because of its versatility. If you only have limited money to invest in ab exercise equipment for your at home ab workouts, so for a Swiss ball. Click to view some of the best swiss ball abdominal exercises.